Shipping Classes are often used when you would like to group products with similar type. The feature will allow you to provide different rates on the shipping of certain product groups and in the next few lines of this tutorial we will show you how to fully manage these classes. In order to fully manage the Shipping Classes WooCommerce provides you with a dedicated page within the admin area of your Wordpress. In order to access that page you will need to navigate to Products>Shipping Classes. You will probably notice how the page is separated on two sections the same as the Tags and Categories management pages. On the left section you will find a simple interface for creating a Shipping Class and to be able to do so you will need to configure the following options. Once you are ready with the configuration of these fields please click on the Add New Shipping Class button so you can be able to save the class. 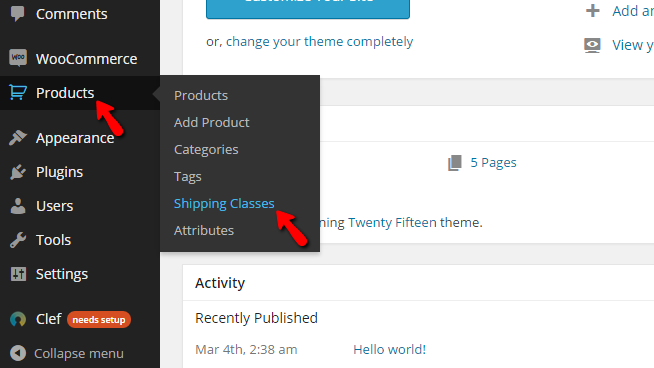 Now that you know how to create a Shipping Classes you are probably wondering how to Edit those. The process is relatively simple as you will need to access again the Shipping Classes management page and in the right section you will notice a table view presenting all the currently added Shipping classes. By simply hovering over an existing Shipping Class you will be presented with the Edit link which you should use in order to access the editing interface. Once you click on that link you will be redirected to the editing page where you will be able to configure the options based on your needs. When you are done with the edits please click on the Update button so you can be able to save the edits. The final action we will discuss is the delete action which will basically delete a Shipping Class. This action is available again from the Shipping Class management page upon hovering over a Shipping Class. 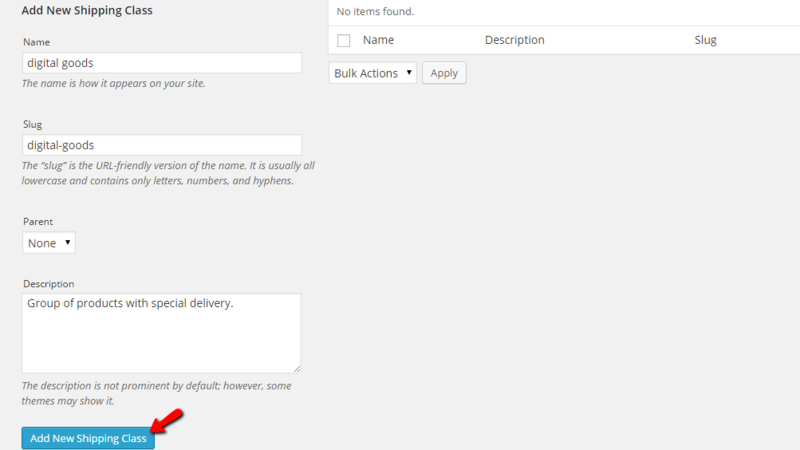 When you click on the Delete link the Shipping Class you have chosen will be deleted after a simple confirmation. Congratulations! 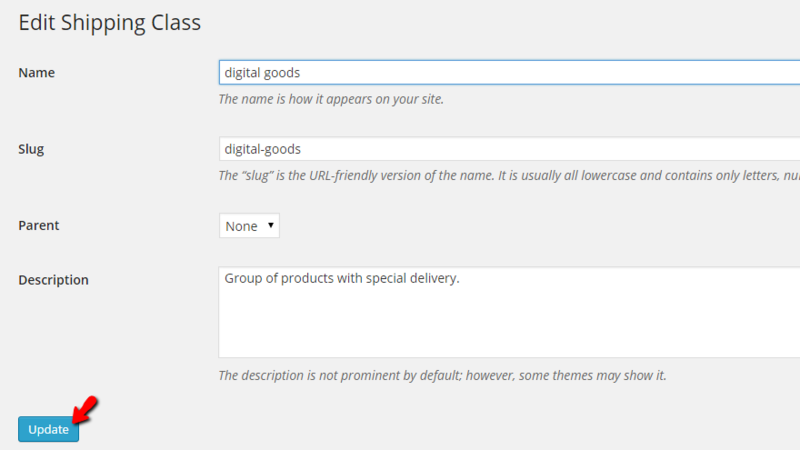 You now know how to fully manage the Shipping Classes of your WooCommerce based Online Store!